It’s here again! We’ve made a ‘Kissing Behind the Barricades’ calendar for 2018. This time printed with two colour Riso at Footprint Workers Co-op in Leeds (www.footprinters.co.uk). See ‘Postcards etc.’ for more calendar info. Princesa Pirata will be taking part in the Easton Arts Trail in Bristol this weekend. Open house no22 on the map, 1 Lena Avenue. Come along too! It’ll be fun. Princesa Pirata Distro will be at the Alternative Press Spring Fair on Sat June the 1st from 11am til 5pm at the Albert in London (1 Alber Rd, NW6 5DT). Come along and bring your friends too. See you there! 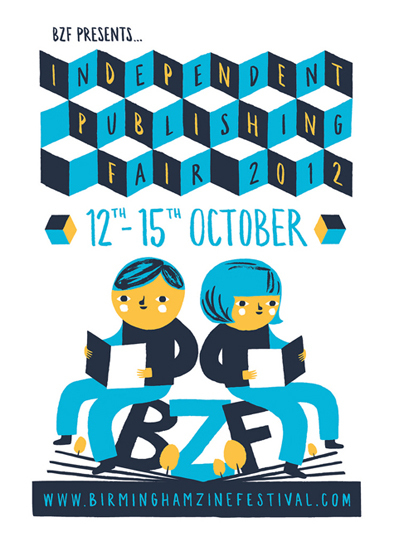 This Saturday Princesa Pirata will have a little stall at the Birmingham Zine Festival. Come along too, if you find yourself in the Birmingham area. 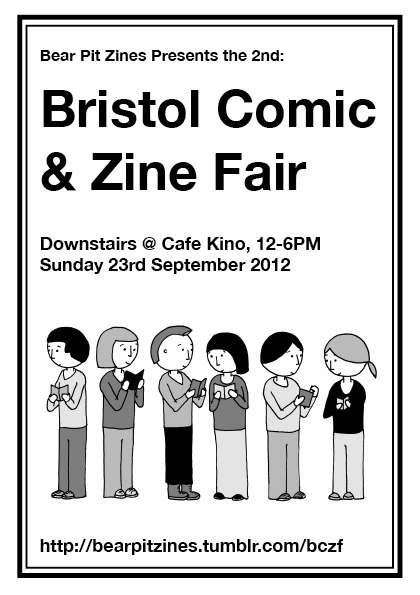 Princesa Pirata will have a stall at the Bristol Comic and Zine Fair Sunday 23rd of September. Come and say hello! 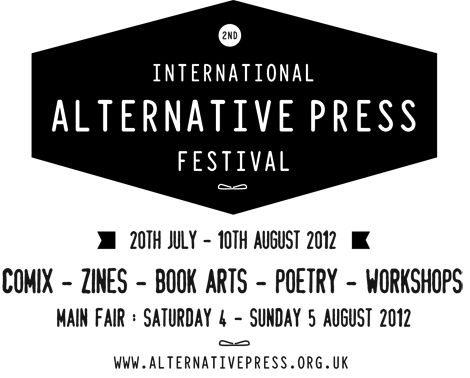 Come and find Princesa Pirata Distro from the Alternative Press Fair at Conway Hall in London next weekend 4th and 5th of August!